I am an electrician by Profession and need a flashlight as I connect and disconnect wires. 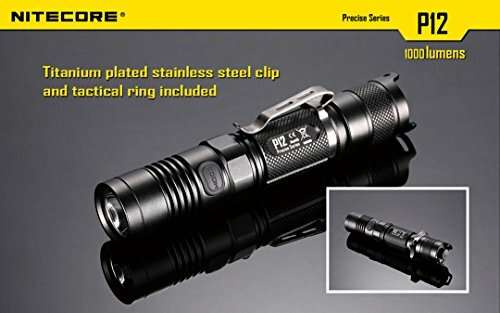 A colleague of mine recommended the nitecore p12 LED flashlight. 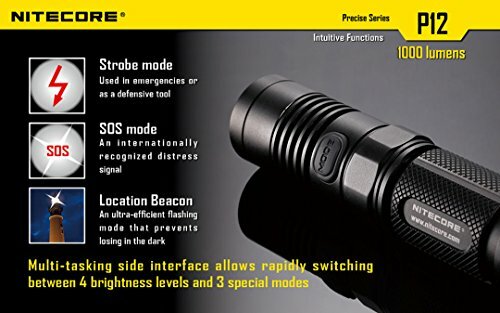 I bought Nitecore P12 flashlight last year. At first, I wondered how this small edc flashlight will be of help to me as I had tried out several of them, only to disappoint me. The nitecore turned out to be different and I use to date. Read this Nitecore P12 review to know more why I am recommending this flashlight. The nitecore p12 is different from other EDC flashlights in that it offers very bright light and has outstanding features. I would say it functions better than most flashlights within its range. It is also sturdily built and has a nice black anodized finish. The two switches that it has allow the user to operate the flashlight easily and quick. It uses CREE XM-L2 U2 LED bulb with 50, 000 hours lifespan. The bulb produces a maximum of 1000 lumens and has a bean distance of 232 meters. If you are an outdoor enthusiast, this is a great torch to use as it can still function in rain with its IPX8 water rating and resistant impact of up to 1.5 meters. Also, competitive shooters and hunters can still benefit from this flashlight with its different lighting modes. Why wait till you are reminded the importance of a flashlight? Most of the time, people tend to forget how important flashlights are. You will hear some sighs when there is a blackout like, “ooohhh! I wish I had a flashlight”. Why wait till the last minute. Any way, people like me must have a flashlight always. In the early stages of my career, I had to try out different flashlight before I became an expert in choosing the best. But I have learnt one thing for sure; never underestimate any flashlight before using it. The Nitecore p12 one of the best selling flashlight from this brand. You can also check the other version of this light is Nitecore p12gt flashlight. If you work in tight areas such as mine or in construction sites, this flashlight is built to withstand such hardships. It is built from aluminum alloy and has a hard anodized black finish. The nitecore p12 has an antiroll design that prevents the flashlight from rolling on a flat surface when dropped accidentally. With its U-shaped tailcap protector, the flashlight can be placed to stand and be used as candle light. There is no doubt that this flashlight was built for tactical use. From the tactical tail switch to the hard anodized finish and O-ring seals, this light is great for use in tough situations. The flashlight has a waterproof rating of IPX8 and it can also resistant impact up to one meter. The strike bezel can be used to hit an enemy and the strobe mode to disorient an attacker. All these features make this flashlight to be well suited for tactical use. Do you work in dark environments or want a flashlight to use during your three day camping trip? The nitecore p12 flashlight is a great choice for campers and other outdoor lovers. It has a maximum of 1000 lumens and a beam distance of 232 meters. This helps the user see images or objects in front of them from a distance. As a result, he or she has time to decide what to do especially when out in the woods or on a dangerous street at night. 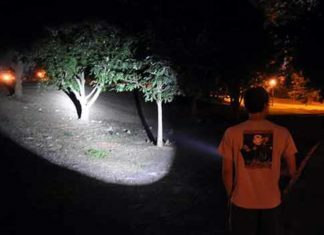 Depending on where you work or what to do with the flashlight, you can use one of its several modes. These include lower, low, medium, and high modes. The special modes are strobe and SOS modes. the lower modes has the highest run time of 520 hours on 1 lumen, low mode has a runtime of 28 hours on 7 lumens, medium mode has a runtime of 6 hours on 240 lumens, and high mode has a run time of 1 hour 15 minutes on a 1000 lumens. Strobe mode is used when there is an assailant while the SOS mode is used while lost or when you need help. Another unique feature of this flashlight is that it enables the user to either use 1 X 18650 battery or 2 CR123A batteries. 18650 batteries offer the best performance and have the highest run time. Also, this battery can be recharged when it runs out of power. The flashlight has a power indicator which enables the user know if the battery is low or not. When the p12 LED flashlight is switched off, the power indicator level will blink once every two seconds when the power level reaches 50%. Alternatively, when it is switched on, the power indicator will blink quickly when power levels are low. Using the p12 flashlight is easy and fast. All you have to do is to press the tail cap switch to turn on the light. Then, you can press the mode or side switch to cycle through the light mode of choice. The tail cap switch provides the momentary on function, while the side switch offers access to all the other light levels. This is done with one hand and on the go. 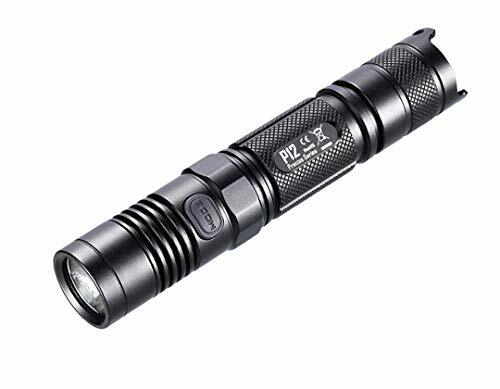 Unlike the big and powerful flashlight, the p12 edc flashlight is compactly designed to fit in tight places and for easy storage. This flashlight weighs 3.10 with battery excluded. This is not cumbersome at all and you won’t feel any burden if you carry the flashlight along. You have the option of using the lanyard to tie it to your belt or utilize the holster. Also, it can be held easily in the hands and offers comfort to the user due to its rugged design. Nitecore is among the reliable flashlight brands on the market. They offer a 5 year warranty and have a great customer support team. With all the great features that we have discussed above, yes, the nitecore p12 flashlight has some shortcomings, too. The first one is that this LED flashlight becomes hot when used for over a long period of time. Specifically, the flashlight gets hot when used on high mode for over a long period of time. To avoid this, don’t use the high mode for long but interchange to the lower modes. The second and last disadvantage of this flashlight is that the 5 year warranty they offer becomes void when you use parts from a different brand. This includes batteries. So, you have to use nitecore batteries or the warranty will become void. Of all the EDC flashlights that I’ve used over the years, this is one of the best. The nitecore p12 1000 lumen flashlight is a small, compact and lightweight flashlight. It fits perfect in by pocket or sometimes I insert in one of the compartments of my backpack. You can use this flashlight as like surefire sidekick keychain light. Being an electrician, I need a flashlight that can offer me with bright and steady light and this is what the nitecore LED flashlight does. After recharging the 18650 batteries, I usually use this flashlight for more than 500 hours before needing to recharge it again. I highly recommend it for people who work in tight places and require a durable and bright flashlight with longer run time. I hope this nitecore p12 review article will help to dig further. 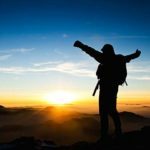 Still, have a question after reading this Nitecore P12 Review? Comment below.